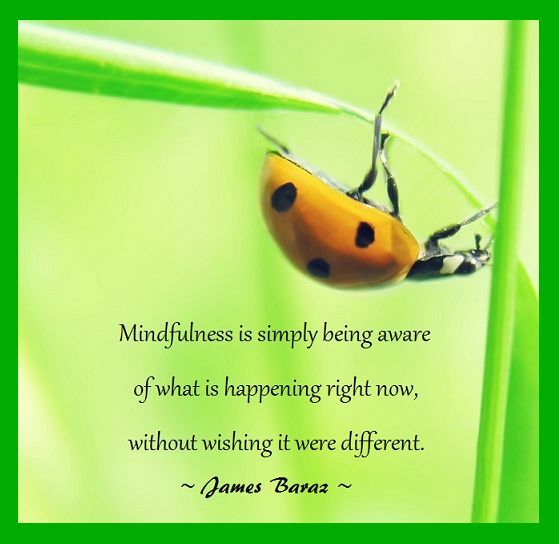 Mindfulness – a buzz word we are hearing almost everywhere. What is mindfulness, what’s it good for and most importantly…how do you do it?! As part of the series for Mental Health Awareness Day which happened October 10th, Allison Boyce, MA, a Child and Family therapist shares her insights on mindfulness and provides an opportunity to try it out yourself! Part of mindfulness is about being in the present, slowing things down, enjoying the moment and not constantly being on autopilot all day. We can be busy busy throughout each day and we often don’t take the time to slow down and check in with ourselves. Mindfulness is about being more aware of the thoughts we have, acknowledging those thoughts without judgement, and continuing to move throughout the day feeling clearer headed and grounded. Why is mindfulness good for us and who should do it? Anyone can benefit from mindfulness. As a therapist, I start my days in the office with a mindfulness exercise. In between sessions or meetings, I take moments to focus on my breath and calm my mind so that I can be present and focused with my clients as well as people I work with. Mindfulness can be very beneficial to individuals who are affected by traumatic events and can help in the healing process. This is done through becoming more aware and in control of our thoughts/feelings and ways we react to them. 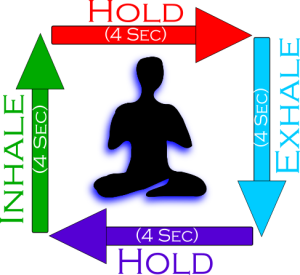 When we are anxious our breathing normally is very rapid, or we might not be breathing at all. The simple act of trying to focus on our breath and slow it down can lower our blood pressure/heart rate and decrease tension we feel in the body during these moment, as well as help us feel more in control. Mindfulness exercises can be useful in the morning or during the day that take only 1-3 minutes between activities and in the evening time before bed. Pretty much any time of day where we need to take a moment to breathe, check in with ourselves and or the environment around us. Do this exercise mindfully, with full awareness, focusing only on your breathing. If you notice your mind wandering, just notice, acknowledge, and then bring your attention back to your breathing. There is nothing wrong with this, our mind will naturally wander. Be purposeful in bringing it back to your breath. By taking these long slow deep breaths you will get more air into your lungs, which will get more air to your muscle. This will reduce tension and bring more air to your brain which helps you think a little bit more clearly. 1. Breathe in while counting to four. 2. Hold your breath while counting to four. 3. Exhale while counting to four. We can be very vulnerable at night with our thoughts, especially if we have experienced traumatic events that we haven’t fully healed from. During the day we have many distractions and people around us. At nighttime that can be very different and I often encourage client to incorporate a mindfulness exercise into their nighttime routine. 1. Pause. State out loud that you are going to take a moment to clean out all of the thoughts that you don’t want from the day. 2. Close your eyes and take few deep breaths in. 3. Busy your mind by thinking about how your clothes feel on your body, how they touch your skin. Perhaps consider if they feel soft, rough, scratchy, warm or cool? 4. Now imagine in your mind that you see a number of empty buckets in front of you. These buckets can look any way you want them to look. What size are they? Is there a color? 5. Now imagine that you can fill each bucket with a thought about something you no longer want to think about. 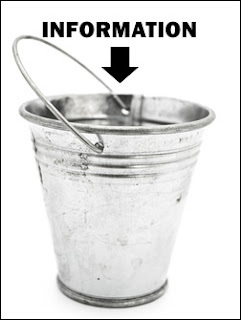 Visualize dropping these unwanted thoughts, events, or memories into each bucket. Once you have filled each bucket, now begin to see the buckets empty. Maybe you carry them to the ocean and dump the contents into the big waves to wash away. Feel how heavy the buckets are as you pick them up and how light they feel as you empty them. 6. Begin to feel calm and peaceful as your mind quiets, being rid of all of the unwanted thoughts about events of the day. Feel how calm your mind is. 7. Feeling that your mind is now clean, calm, and ready for sleep, you can begin to return your attention to the room around you and can open your eyes when you are ready. Celebrate a calm, centered, peaceful mind that is ready for bed! Remember, you can do a mindfulness exercise any time during the day. Why not try one right now? Healthy Minds is a monthly column coordinated by Ketchikan Wellness Coalition, as a way to share positive stories from people living with mental illness, offer information from local mental health professionals about maintaining mental health in your life, and provide details on tangible activities or actions you can take to strengthen your mental wellness. If you, or someone you know, is experiencing a mental health emergency please contact your local emergency number or go to your local hospital. You can also contact Alaska Careline 1-877-266-HELP (4357) which provides crisis intervention and is free and confidential, 24 hours per day, 365 days per year.